Fresh from a clinical skills class in which students learn handling techniques for various animal species, Magan Wells offered an interesting ice-breaker: “I’m sorry if I smell like a pig.” Wells, a first-year student at the MU College of Veterinary Medicine, said that while the class provides exposure to alpacas, cows, equines, goats, sheep and swine, she is no stranger to working with large animals. As an undergraduate at Arkansas State University in Jonesboro, Wells took a class that involved hands-on contact with horses. She also undertook an internship at the Memphis Zoo where she worked with hippos and warthogs, among other African mammals. 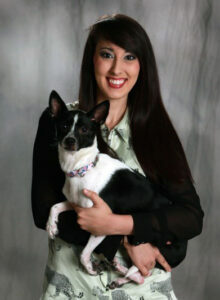 She said she has known since she was a child with a habit of finding and rescuing stray animals near her Jonesboro home that she wanted some day to practice veterinary medicine. Wells went from raising a litter of kittens at age 12 and helping baby birds survive until they could be released, to working in a pet hospital as a high school student. During her four years at the pet hospital she started out helping in the kennels before being trained in surgery and as an assistant. She earned a bachelor’s degree in animal science with a pre-veterinary medicine emphasis before applying to attend the CVM at Mizzou. Wells was one of two students this year to receive a $7,000 scholarship from the Gentle Doctor Benefit fund. She said the scholarship helps reduce the amount of money she needs to borrow for her education, which, in her first year at the CVM, includes out-of-state costs. “I thought it was an honor to receive the scholarship. It made me feel accomplished. It’s a benefit and it’s a fun event, but it’s something that raises money for everyone,” she said. 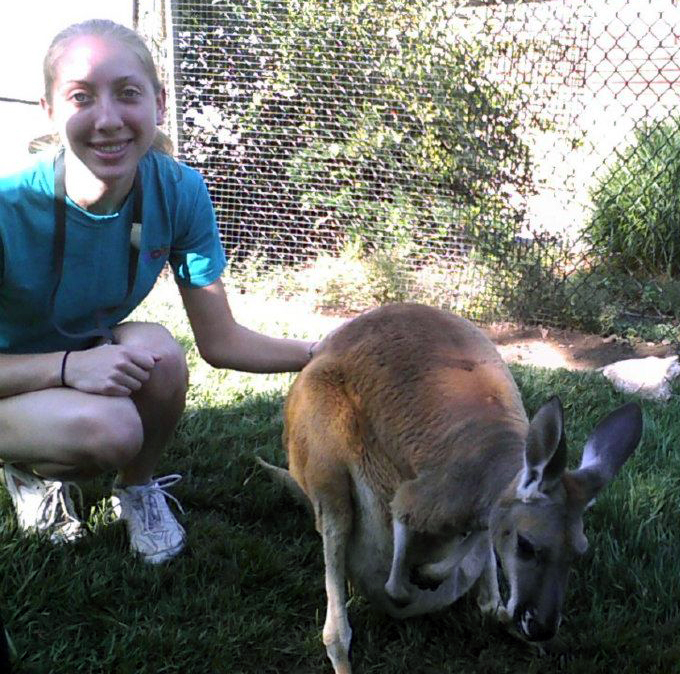 Wells said she is interested in pursuing a veterinary career path that emphasizes surgery, but she is also interested in clinical pathology as well as possibly working with exotics or in avian medicine. “I do want to specialize, but I’m just not sure at this point in what,” she said. The second $7,000 scholarship was awarded to Lauren Clement of Carl Junction, Missouri. Clement earned a bachelor’s degree in animal science at MU and qualified for the Pre-Veterinary Medical Scholars Program. The program provides early assurance of admission into the veterinary curriculum to students who maintain required academic scores and participate in other specified activities. Clement echoed Wells’ comment that she has known since childhood that she wanted to pursue a career in veterinary medicine. “I also knew early on that I wanted to come to MU, so I knew I would have to do well in high school,” she said. In fact, Clement did so well she was her high school class valedictorian, which qualified her for the Mizzou Scholars Award as an undergraduate. As an undergraduate, Clement volunteered at MU South Farm, an equine teaching facility. She also gained experience through the Pre-Vet Scholars Program by shadowing veterinarians at work in the Veterinary Medical Teaching Hospital Small Animal Clinic. One day at the clinic a cat in cardiac arrest was brought in. It was the first medical emergency Clement had witnessed. She said she marveled at the way everyone on the emergency team immediately knew what their role was in the effort to save the cat’s life. She was even assigned a task, aiding with ventilation during open heart compressions. “I had never experienced anything like that before,” she said. Clement is unsure what direction she will take her veterinary career. She initially planned to work in a mixed animal practice, but that was because she was previously unaware of all of the options that are available with a degree in veterinary medicine. 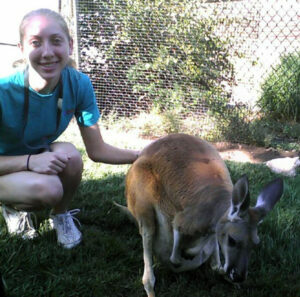 An internship at Dickerson Park Zoo in Springfield, Missouri, in which she assisted zoo keepers with day-to-day animal care as well as observing special veterinary procedures, deepened her interest in exotics medicine. “I’m thinking maybe I’d like to go into exotics or government work. I’m keeping my options open,” she said. She said she is grateful to receive the financial support from the Gentle Doctor Benefit scholarship. In addition to two large scholarships, the GDB fund provides a $100 scholarship to each member of the first-year class.